How should a home game pay out prizes in a sit-and-go? - Casino Answers! Casino Answers » Poker » Home Games » How should a home game pay out prizes in a sit-and-go? How should a home game pay out prizes in a sit-and-go? Depending on how many players you have, you could set up your sit-and-go a few different ways. For a game with four or fewer players, a winner-take-all game is best. This can usually be voted on, but the amount of money for winning is only truly worthwhile for most players is if you do a winner take all style tournament. For a game with five or six players, give 75% of the prize pool to the first place winner and 25% of the prize pool to the runner up. For a game between seven and ten people, give 50% of the prize pool to first place, 30% to second place, and 20% to third place. For a game with between eleven and thirty people, give 50% of the prize pool to first place, 30% to second place, 15% to third place, and 5% to the fourth place finisher. Alternatively, give fourth place his or her buy-in back. For a tournament of this size you can either decide when to raise the blinds at the table or use an egg timer for doing that at a set time. If you have more than thirty people in a tournament, it’s often useful to download and use tournament-management software. This will alert players when the blinds are going up, calculate what to pay out to each finisher, and establish a good blind structure. Remember, it’s important for home games to always post (or declare) the payouts before play starts. Players will be put off if they are expecting to make money but are later told that they placed out of the money. If you are going to do a home tournament, it’s important to have a couple of decks of cards (depending on the amount of players) as well as plenty of poker chips. You should make sure everyone is clear on the denominations of each poker chip before you get started as well. The last thing you want is someone thinking they are betting $5 when they are really betting $50. For an added touch of fun, some people set up their home games to have re-buys. A re-buy is when you are eliminated, but by back into the tournament for a specific amount of chips. 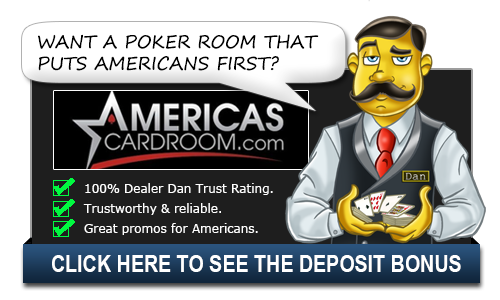 With a short handed table, like four to six people, allowing everyone a single re-buy can be a fun way to keep the game going for a long time and making it very profitable for a winner.